Buying a house is probably one of the biggest investments you will make during your life and it’s also the place where you and your family will reside for quite a few years. Because of this reason, it’s vital to know the ins and outs when it comes to purchasing one to make sure that you make the best investment possible. You have to know that one of the many joys of owing a house is that you will never have to pay monthly rent to have a roof over your head, and when you are planning to sell then you can make a profit out of it. It is of utmost importance that you know that with home ownership comes a lot of responsibilities, disadvantages and a lot of headaches. You will have to establish if your finances and lifestyle will allow you to be a successful home owner. TIP#1: The high costs that come with owning a home means that you should be prepared to stay there for a long time. If you are buying for the first time then you should be prepared to stay in that home for at least four years. The cost of buying a home is very expensive and it just would not make sense if you are not going to stay there until you have finished the mortgage or at least a big portion of it. TIP#2: It might make more sense to option for renting. You will have to see whether it would be cheaper to rent rather than to own. If you are able to rent a good home for 35% less than what it would cost to buy a home per month, then I would suggest that you stick to renting until you are financially capable of owning a house comfortably. Before you can start buying, you should first get your finances in order. For most home buyers, the first step, getting your finances right, can be a big let down. The first thing that you should do is to save up a big amount of cash to put down on the house, and for the closing costs. Then you should try to convince a bank to lend you an even bigger amount of money for the mortgage. The first step would be, before starting with the house hunt, is to get your finances in order. Credit reports show everything about your finances, all your accounts, all your debt and your credit. It will also show the negative things about your finances. If you have made a late payment on one of your clothing accounts then it will show. If you have a bad credit score then you are going to struggle to get a low interest rate mortgage loan that is if they are even willing to give you the loan. We have seen that a mistake on credit reports are becoming very common, therefore is it of utmost importance that you obtain a copy of your credit report and inspect it for any errors. If you come across an error then you should contact the involved credit company and ask them to correct the error. If you have bad listings on your credit report then you should be prepared to explain to the banks why it is there, and how you are going to go ahead so that this does not happen again. The next thing that you should do is to determent what you will be able to afford. I would suggest that you make use of an online calculator which is specifically designed for that. It would even be a better idea to get pre-approval certificate. The lender will establish a realistic amount for you by looking at your debt, income and credit. There is a rule of thumb that states that you should not go for a house which cost more than one year of your salary. There is another rule that states that your monthly payments towards the mortgage loan should not exceed 35% of your monthly income. Otherwise the chances are good that you will not be able to afford to live comfortably. It is also good to know that your down payment also plays a big role in what you will be able to afford. If you have not managed to put away any cash yet, then you will need to start saving as soon as possible. In some cases you will have to be able to put down at least 10% of the total price of the home in order to get an approved loan. You will have to know that the more you are able to put down, the better chance of the loan you will have and the lower your rates will be. To save money is probably the first and most important step which you will have to take to make the home buying process a success. Thanks to technology and the media, is it now possible to buy your own home completely by yourself and without the help of a real estate agent. I would not recommend that you do this, especially if you are a first time buyer. You will have to understand that the housing market in South Africa is like politics. Different areas have different rules, regulations and laws which you should be aware of. 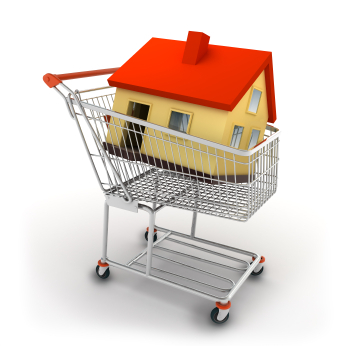 Therefore is it important that you seek help from professionals to be guide and help you through the buying process. Firstly I suggest that you find a real estate agent who will help you with your interests at mind. You should know that more than 85% of sellers make use of their own agents to help them to sell the house and they will sell the house in the best interest of the seller. They would want you to pay more because they are getting paid on a commission structure only. There are many websites which can connect you with well reputed estate agents. The time has come for you to hit the streets or brows the internet to start looking for a house. The first factor which you should think about is the location where you would like to reside in. If you would like demographic information on different areas then I would advise you to consult with the local municipalities and real estate agents. They should be able to give you proper information. You should look at the following characteristics: is there a proper school facility, good economic vitality, is the mixture well balanced out between older and younger couples, good incomes and low unemployment levels. It is very important to buy in an area with a good schooling system. If you don’t have children then you should still look at this, because of you are planning to sell one day, then it will push up the market value of your property. Also make sure that the chosen area is desirable and that the estate market is busy. If you are able to, then I would suggest that you look for a house in the colder months of the year. You will find that the competition is much less and you can have better negotiation results. You can even make use of the internet. There are various sites that can help you search for a home according to your requirements. This will give you a rough idea of what would be available and it will narrow down the search process, thus saving you time. When the time comes where you are going to visit the different houses, make sure that you take a note book and a camera with. You will have to record and list all of the things that bother you and the stuff that you like. People who are on the house hunt have the tendencies to forget important features of a home. Your real estate agent should also be able to give you details of all the houses. Now that you have decided on a house, it is the time to act swiftly to make your bid. I would suggest that you gather data of the three most recent houses that have been sold in the area. You should then work out the average between the original price of the home and what they have sold it for. If you see that the price ended up 5% below the original price then you know you can bid up to 10% below the asking price. You should know that if you really want the house then you should not bid too low. This might cause the seller to bail out in disgust. It is also important to know that there is no right or wrong method of negotiating for a better price. The most important factor would be trust between you and the seller. Be honest and respectful, this will give you the best price possible. Now that you have a mutual agreement with the seller, the paperwork will start. In normal cases the seller will draw up an offer to purchase contract. This contract will include the final price and a closing date. The closing date is usually between 40 to 60 working days. 1. That you obtain a home loan. 2. That the necessary home inspection was conducted. 3. You may do a walk-through though the house 24-hours before closing the deal. I would strongly suggest that you obtain home owners insurance. Look on the internet or get recommendations from family and friends. Before signing any papers, make sure that you get your own home inspector to come have a look. Also be present at the inspection. This will help you to learn more about your home. You will learn more about the structure, wiring, plumbing etc. If the inspector finds a big problem, like a leaking roof, then you should approach your attorney. The seller should either fix the problem before you move in, or they should deduct the repair costs from the price of the home. If the seller doesn’t agree to this, then you are able to walk away from the deal without penalties. Just make sure that it is stated in the contract.